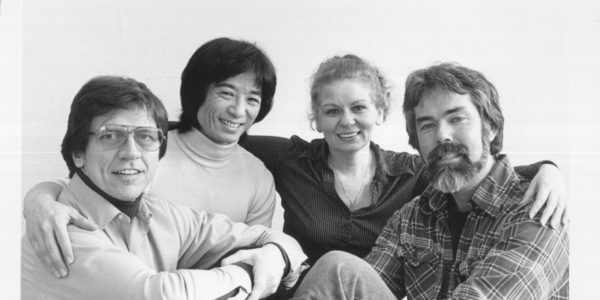 In 1977, founders Charles Bright, Randall Duk Kim and Anne Occhiogrosso founded American Players Theatre in the District of Columbia. Photo: The founders, plus J. Dusty Priebe (right) who joined the others and was instrumental in APT's early years. A small group gathered on the Lockman farm near Spring Green, WI. One person walked to the base of a steep hill and began to read; his voice reached those above with uncanny clarity. After looking at 43 sites, this was the one. The founders had the spot that was to become American Players Theatre. Photo: First visit to the site that was to become APT. 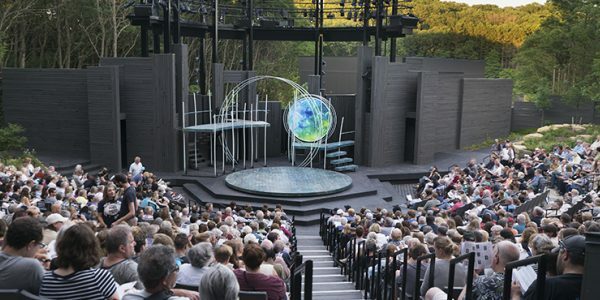 American Players Theatre staged its first production: William Shakespeare’s A Midsummer Night’s Dream. 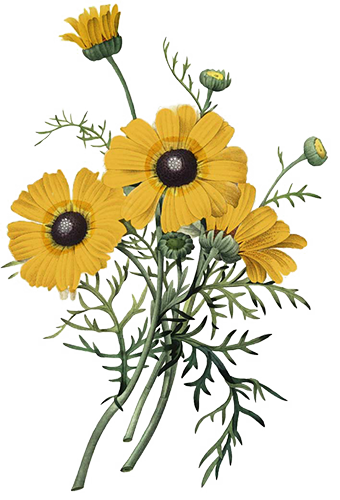 Word spread quickly about this very special venue and the quality of the work. By its second season, the stage was home to a mix of five Shakespearian comedies, histories and tragedies. Photo: Charles Bright and Anne Occhiogrosso welcome the audience to APT's first performance. Under the direction of the founders, the young theater continued to produce Shakespeare but also broadened its scope to include other writers, including Chekhov. That same year APT was nominated for a Tony Award for Outstanding Regional Theater. Photo: A Comedy of Errors, 1985. APT founders announce the closing of the theater due to financial hardship. However, two months later APT reopens following an extraordinary grassroots effort to raise money to save the theater. APT purchases the land on which the theater is located. It also builds its first building on the property -- backstage restrooms for the acting company and crew. Sheldon Wilner is hired as Managing Director, a position he holds until 2005. APT begins touring the state of Wisconsin at the conclusion of its summer season in Spring Green. The tour continues until 2007. David Frank was named Artistic Director, and became Producing Artistic Director in 2005. Under his leadership, American Players Theatre added a second theater space and maintained an operating surplus for 23 years running. He retired at the end of 2014. Photo: David thanks the audience at APT's 35th anniversary celebration. APT creates a Core Company of actors who share an ongoing commitment to the theater's mission. Photo: The Core Company in 2010. The outdoor amphitheater was fully renovated, including the installation of new seats. Photo: The amphitheater from above. The Bravo Center opened, a 22,000 square foot building that includes administrative offices, production shops and two rehearsal halls. Photo: The costume shop. APT begins a new Actor Apprentice program. 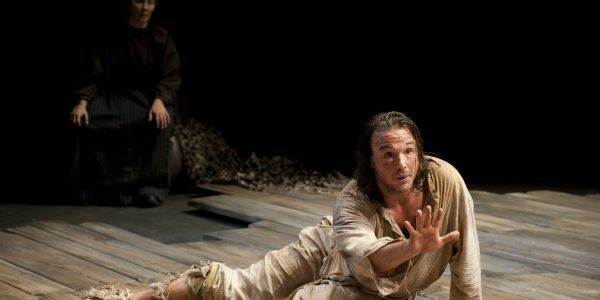 These early-career actors take additional training in verse, movement and voice and text in addition to their regular roles and understudy assignments. The 200-seat indoor Touchstone Theatre opens. The Touchstone provides the opportunity to extend the season, educate a new generation of actors and expand play offerings to serve a wider audience. 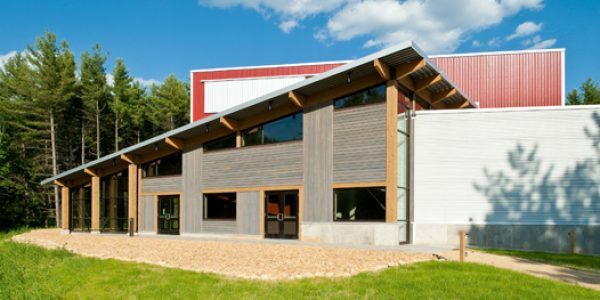 APT also opens the Alpha production facility, housing the scene shop and an additional rehearsal hall. Photo: The Touchstone Theatre. Terry Teachout, drama critic for The Wall Street Journal, names APT Theater Company of the Year. Photo: Sarah Day and David Daniel, The Cure at Troy, 2011. Brenda DeVita was appointed Artistic Director. In January, 2015, Carrie Van Hallgren joined her as Managing Director. Photo: Carrie Van Hallgren (left) and Brenda DeVita. APT begins construction on a $8 million renovation of the Hill Theatre. The project includes rebuilding the stage, expanding backstage storage, the dressing rooms and a new rehearsal facility, the Robert Dohmen Rehearsal Studio. Photo: rebuilding the stage. The Hill renovation was completed in time for the kick off of the 2017 season, taking about 8 months from start to finish. The newly constructed stage was christened by a lively production of A Midsummer Night's Dream, which was the first play ever staged at APT. American Players Theatre draws an annual audience of more than 110,000 people from around the country and has earned a national reputation for presenting theater of the highest quality.